Nation Wide Shelving's office in Boise Idaho carries most brands and types of Pallet Rack. You will need to consider many points about the items you need to store. Size and weight are key in product selection as well as how you need to access the items once they are stored on the rack. The two options are LIFO and FIFO. LIFO means first in first out and FIFO mean first in last out. 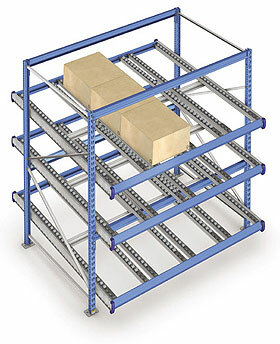 We have outlined some information to assist you in making the best selection for pallet rack rack in the "types of pallet rack" section you will find later on this page.